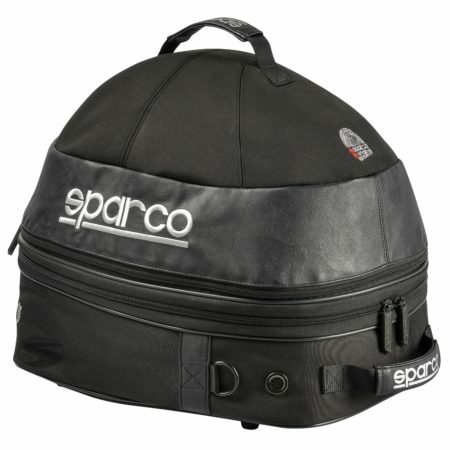 The Sparco Cosmos helmet and FHR helmet bag has sufficient space to carry a helmet and HANS device. 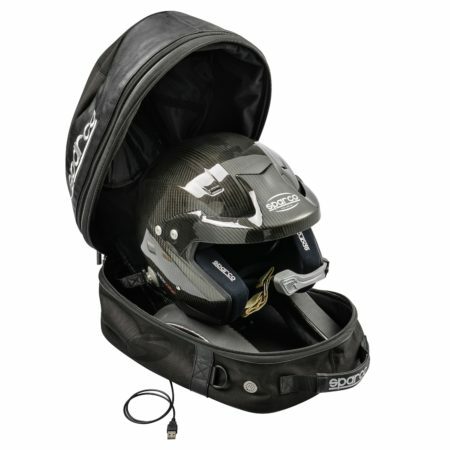 This helmet bag also includes a helmet drying fan, to dry your helmet between test or race sessions. 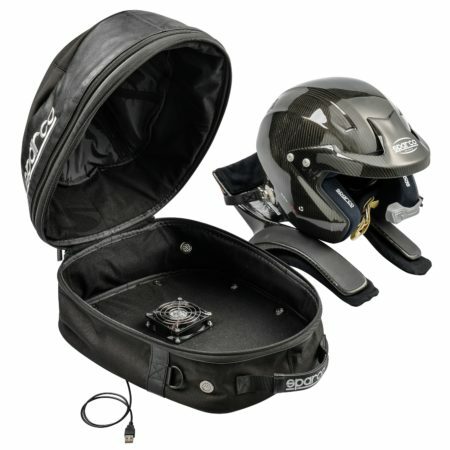 The fan is powered by a USB cable. 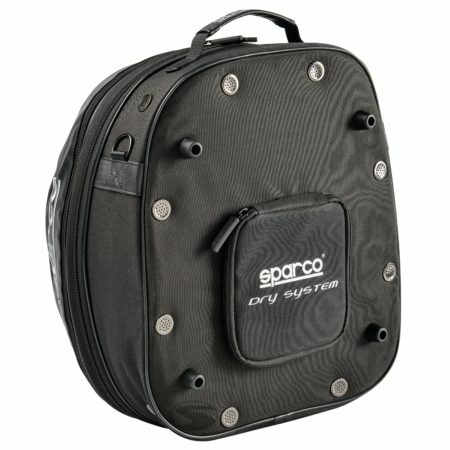 The Sparco helmet bag is constructed using a water-resistant and breathable fabric. 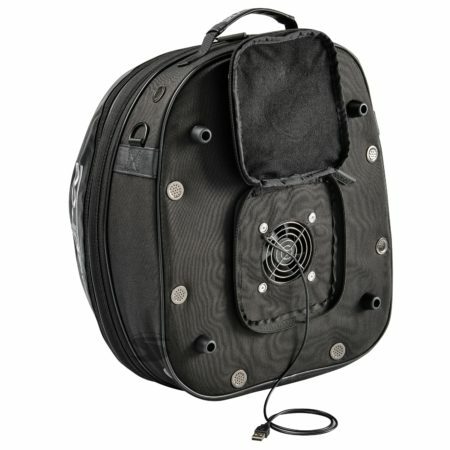 It includes two carry handles and a shoulder strap.